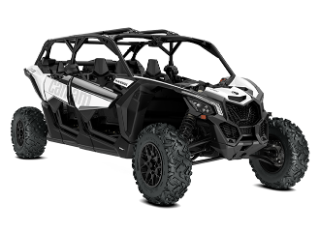 The Maverick X3 MAX' intensity comes from a mix of performance-driven mechanical and structural design, from its signature LEDs to its advanced cockpit. Choose between Hyper Silver & Sunburst Yellow painted coloration or White coloration, if you can. 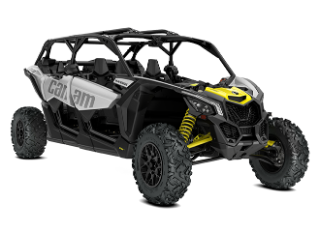 Discover and deal with varying conditions such as desert, dunes, rocks or trails with quarter doors and a dominant vehicle posture for optimal off-road capability with no compromise to line-of-sight, even in the back row.